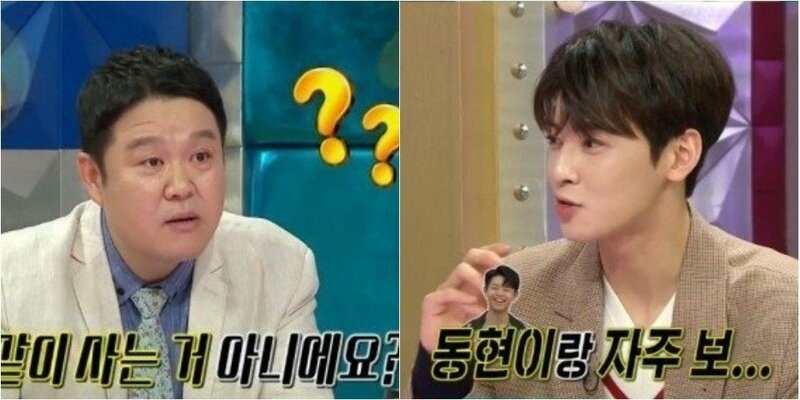 ASTRO's Cha Eun Woo shared some shocking news. Kim Gu Ra looked startled but calmingly replied, "Oh you must've heard me talk on the phone." 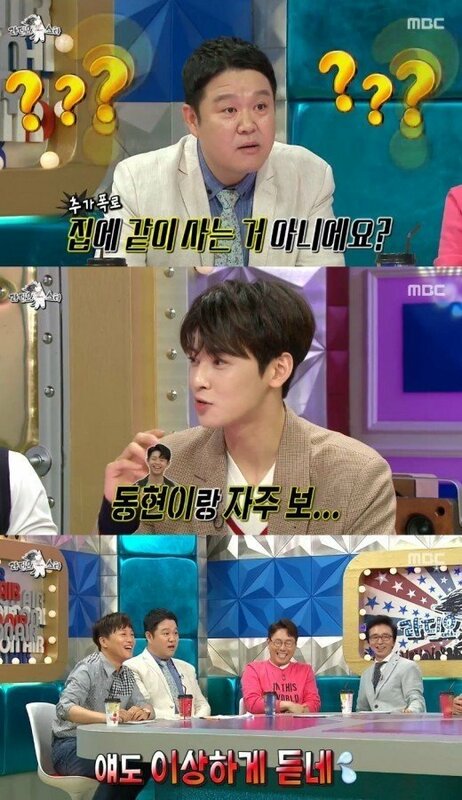 To this, Cha Eun Woo surprised all by asking, "Don't you live with your girlfriend? You meet her often with Dong Hyun (Kim Gu Ra's son)." Kim Gu Ra responded in denial, "No, you must've heard it wrong," and commented, "He's a dangerous kid. I'm a lonely person that lives alone."